Northfield, Minn. – Northfield Automation Systems recently published its periodic “News and Notes” company highlights for the end of 2011. DELIVERING TURNKEY SOLUTIONS – When it comes time for installation, our team is often on-site for one to four weeks, and won’t leave until we know that the customer is satisfied. Recently we’ve had installation teams in California (roll-to-roll robotic lamination system), Colorado (vision inspection and test alignments), Wisconsin (vacuum laminator) and Europe (chemical processing system). From training operators, maintenance personnel and engineers, to establishing a preventive maintenance schedule that complements the machine’s workload, to laser aligning all systems – including verifying mid-process components – we’re proud of our reputation for on-time delivery and providing turnkey solutions. 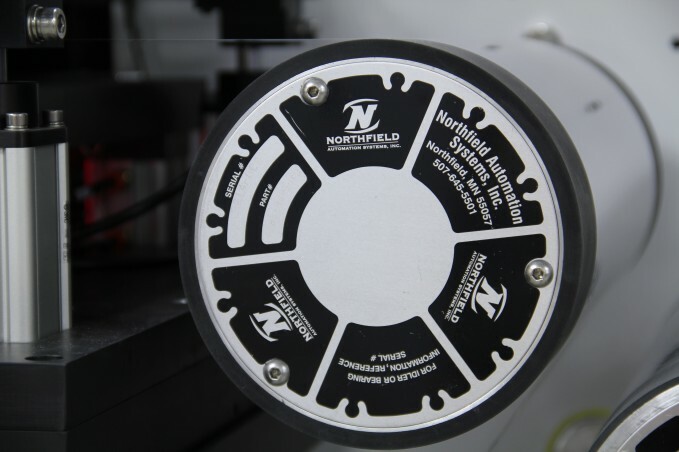 Rest assured Northfield Automation will install, test, align and verify all pieces to have you up and running as quickly as possible. We won’t ever sacrifice quality in the planning and production phases of your project and that certainly won’t change when the machine arrives on your floor. WHAT DO YOU THINK? – We’re constantly looking for ways to grow and improve. In this spirit, we’re interested in hearing straight from you, our customers! In a few weeks we’ll release our new customer satisfaction survey. It should take you no more than two minutes and your answers will remain anonymous. Watch for more information! SEMINARS AND CONFERENCES GALORE! – Truly we find ourselves asking these days, “What month would be complete without hosting a booth, attending a conference or serving as a conference presenter?” Even in the midst of a busy season of production and installation, we hold in high regard the importance of education. We recently wrapped up the Solar Power International Conference in Dallas in October, the Medical Design & Manufacturing event in Minneapolis in November, and ID TechEx’s Printed Electronics USA tradeshow early this month. We’re next scheduled to attend the 2012 Flexible Electronics & Display Conference and Exhibition held by FlexTech Alliance in Phoenix, Arizona, on February 7-9. (Stay tuned for more information on this show, as our principal engineer and co-founder Dr. Gary Larsen will be co-leading a short course on roll-to-roll manufacturing processes.) We’ll also be attending ICE USA in Orlando, Florida, on April 9-11, 2013. THANK YOU! – If you were able to attend our Open House earlier this year, thank you! We always enjoy meeting face-to-face with industry partners and sharing with people firsthand the exciting things happening at NAS. TWENTY YEARS? TWENTY YEARS! – Stay tuned for more information as we celebrate our 20th year of business in 2012! NAS has a longstanding reputation as the leader in delivering roll-to-roll automation solutions, and we’re excited to take a look back at all that we’ve accomplished and the people and projects that have helped make it happen. Work with you to understand your process and, in turn, develop detailed specs to address the goals before production begins. We’re excited to hear that more and more of our customers are looking to us to be their sole provider because of what we bring to the table: energy and engagement, a commitment to solving problems and understanding the big picture, and unsurpassed support from the beginning of the relationship and extending beyond installation. Provide turnkey solutions. We want you to be successful. We want you to be happy. The only way to accomplish this is to ensure that once a machine arrives on-site our engineers and technicians calibrate it in a way that will work seamlessly with existing pieces and enhance the overall manufacturing process. Stay true to who we are. We’re looking to grow our team, but we understand that a decline in quality or service is not an option. We know that we need to be extremely intentional about who we bring into our office. New hires need to fit our culture, appreciate a multi-disciplined approach and embrace our philosophy of quality and service. You should expect nothing less from all NAS employees. Proudly invest in maintaining our position as a leader in developing cutting edge technology in the flexible display, battery and solar industries. Maintain a true spirit of partnership. We realize that our relationships with our customer are based on trust. One of our goals is to team up with our customers’ engineers for the most direct, most effective communication. This results in achieving the best end results with our projects. We realize that we do not know our customers’ products better than our customers, but we know how the process manufacturing affects these products. Working together as partners makes it possible to achieve great things.